This makes a great gift. Well packaged and so many different flavors. I love this coffee ! Would like to be able to order more !!!! I have bought this for years. This is the best price on the internet. First of all, this is good tasting quality coffee. No need for running to that infamous coffee shop. The packets make a standard pot (depending on how strong you want it). I really liked that because just pour the packet in - no measuring scoop or guessing. The flavoring is just right as well - not too sweet or overpowering. Also, not enough to just be for Christmas. I would drink it anytime. I am ordering more because I liked these so much. If you have a coffee lover on your gift list, or coming to visit for the holidays, they would love this. Comes in attractive box. I bought 2 last year and likes it so much I ordered 2 again this year. Great verity. My husband looks forward to this item as I purchase it for him as a Christmas gift every year. He loves flavored coffees and I find this to be perfect for him! I am planning to purchase more of this to give as Christmas gifts. I was totally impressed with the packaging!! Great tasting coffee..delicious flavors to choose from.. This is a gift that pleases every coffee drinker! To add that "extra something" to the gift, you can include a pair or set of coffee mugs, or add some home-baked goodies. All the coffees tasted good. I would recommend this to family and friends. Should have got one for myself My friend was very happy with it. Was delivered on time. I purchase more than one of this product as the flavors are so unique and delicious. This is a perfect gift for all coffee lovers! I spoil myself every year with this great coffee! I give it as a gift, too, but make sure at least two extra boxes are strictly for me! This review covers many, many gifts I sent directly to family and friends from Miles Kimball for the holidays, 2012. I haven't seen most of the things I purchased since they went to the recipients directly from the supplier, but the recipients were pleased, and I like to enhance their celebrations with unexpected items. Miles Kimball excels at reasonably priced unique items, and I enjoy sharing them. 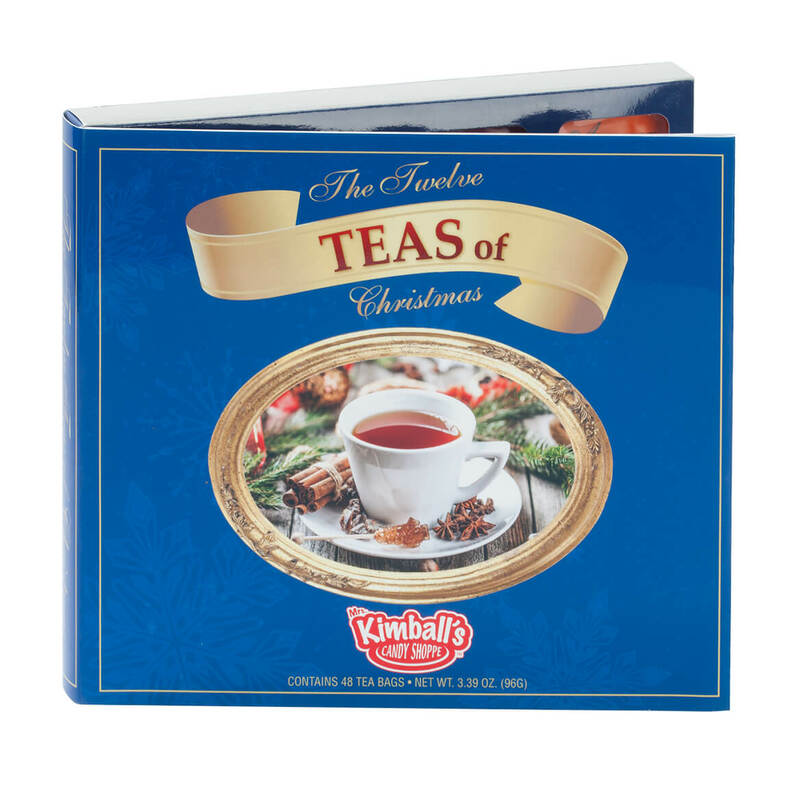 Not only is this a nice packet to give as is, but it also breaks down into smaller groupings like I did with the coffees and teas, making up my own packets to give out as smaller individual gifts. Perfect for many smaller gifts. I like different flavors of coffee and I found that this coffee in the amount in which it comes, gives me a chance to sample a lot of different flavors. I use these in a large travel mug. I have a small individual filter, put in the amount of coffee I need, microwave water, fill the filter with water and I'm finished. Great tasting and lots of variety. I get this every year for my Father-in-law he love it. The BEST coffee, varied and flavorful! 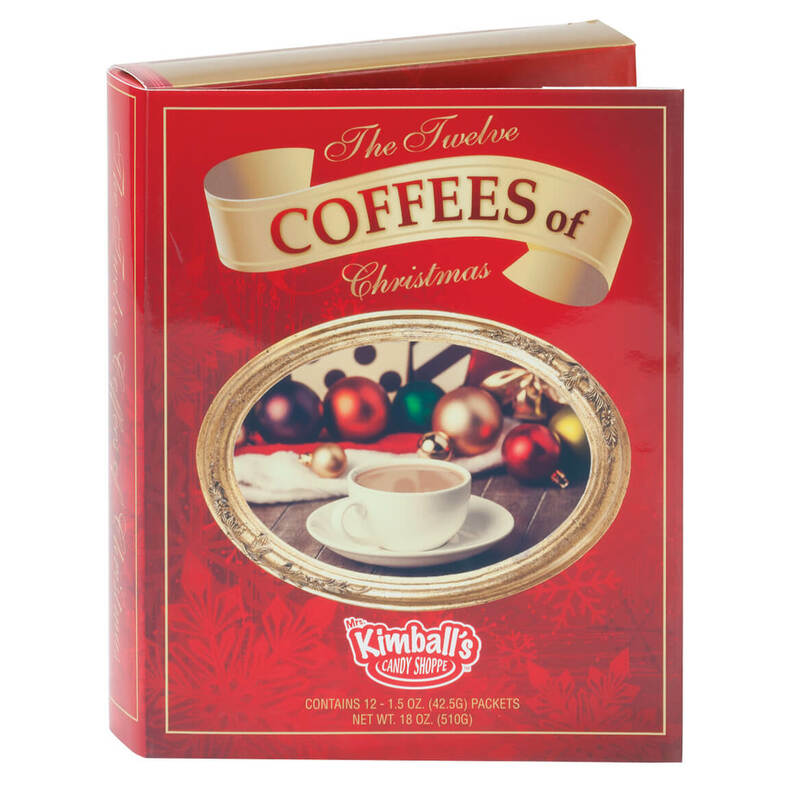 These coffees are so great that since Miles KImball only sells them during the Christmas season, I buy 3 or 4 boxes, some to keep, some to give as gifts. They are truly delicious, hard to find. It's a gift for Christmas. My husband is a coffee officianato and he loves all the different flavors. I like the surprise of a new coffee flavor each day. It was great having a different flavor coffee all through December to add to the holiday festivities. They were all great flavors. Quick and useful on a buey schedule. If you enjoy flavored coffee you will like this.It was a nice gift presentation. This was a gift for my son. He tries different coffees and I thought he'd enjoy it. He was pleased with the thought and the variety but we both think the gift over priced for what it is. He's liked the coffee so far (I don't drink coffee) but he'd rather have better quality for the price. Glad I got it on clearance. Too bad it is called the Twelve Days of Christmas. That pretty much limits the market gift wise. This is a Christmas Gift for my daughter, who loves different flavored coffees, but just doesn't have the extra money to enjoy them. 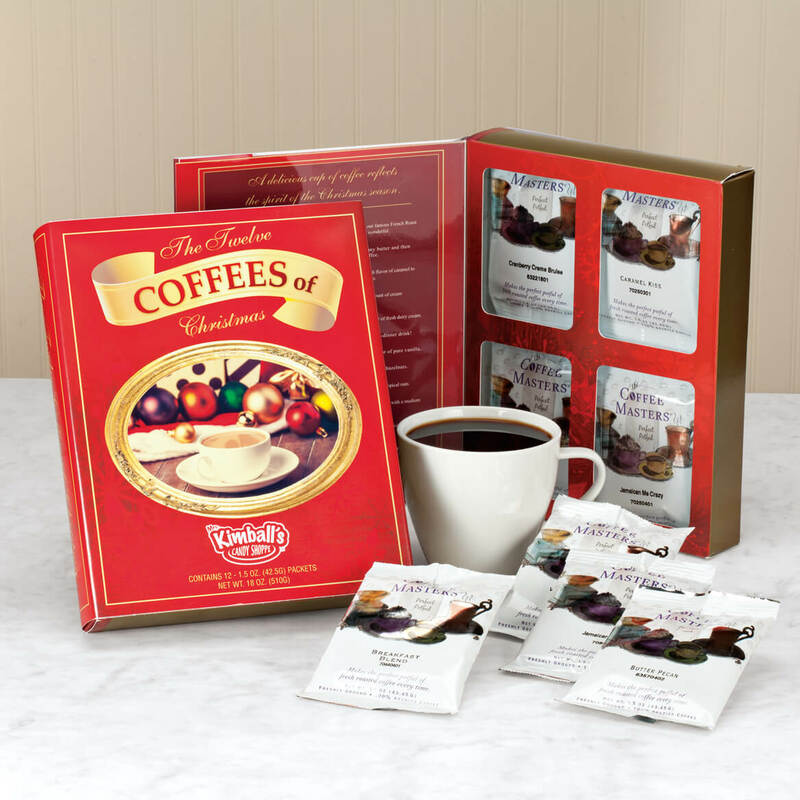 I looked through this gift, the different coffees that you offer, and I have no doubt that she will enjoy 12 wonderful pots of coffee with her friends, family, or just as a special treat for herself! I have never had any myself but I got a box for my doughter & soninlaw about 3 years ago and they liked it so much I get them one each year. bought these at Xmas for my husband.He liked them so much I'm buying them for his birthday! wanted to try different coffees. I treat myself to the flavored coffees every year. So good! Buying this item has become a tradition for me for a number of years. My wife loves the coffee and wants the tradition to continue. I try to order this every year. I like the flavor variety. experiencing new and different tastes makes the world smaller and more friendly. Have had Christmas coffees many times and also give as gifts to my coffee lover friends! My brother-in-law loves coffee and the reviews were great. I felt that you guys were the only one's carrying twelve coffees of christmas that I could afford and haven't tried. You gave me 10% off and free shipping. Thank you and you rock! I will be doing a product review on our youtube channel during the December month on this product or the twelve coffees of christmas. Thank you so much look forward to receiving this product. mostly they are Christmas presents. I love flavored coffee and thought I would try this set, like the packaging and the flavor descriptions. My boss loves coffee and I had a good coupon code. My son loves this and every year I like to make sure he gets it. The different flavors of coffee is perfect for coffee lovers. purchased this before and given as gifts. The flavors of the coffee are very good. Everyone loved receiving this! I look forward to treating myself to this special coffee every year! These coffees are wonderful. Love the different flavors. Delicious, various hard-to-find flavors, reasonable price. Once you taste these, you’ll never look back ! I enjoy hearty dark coffees, and this set looks deliciously promising! Fell the same as I did when I filled out a thoughts on last order of same nature. Love them. I wanted to tast a variety of coffees. Lover of coffee. Hopefully this will give me a few new favorites.. Annual Christmas tradition. Great flavor. I love the flavored coffees and treat myself to these every year!! Enjoy a variety of coffee flavors. Have been looking for an affordable assortment of coffee that makes a pot rather than cup. Will give to brother-in-law for Christmas. For my brother-in-law. who loves coffee. Purchase for my Father every year, kind of a tradition. He loves the different flavors. BEST ANSWER: Thank you for your question. The product is good for two year unopened. Our current stock is good from 2016-2018. We hope this information will be of help to you. BEST ANSWER: Thank you for your question. This item will be back in stock on 12/21/15. We hope this information will be of help to you. Is this new for 2016?..or from 2015?